Closing Paris Fashion Week’s parade of menswear is a formidable task. This season, the job was given to none other than Matthew Williams’ 1017 Alyx 9SM, a brand which enjoyed it’s second showing in “the City of Lights”. Upon her entrance, the heavy thump of intense electronic pierced the space, the former quarters of French newspaper Libération. As Kaia Gerber made her scenic entrance, clad in black and adorned with a lustrous buckled necklace, she initiated the unveiling of Alyx’s campaign. The models who followed (John Ross and Alton Mason among other notables) strutted to the gritty bass of Chief Keef’s “Citgo” (a legendary track selection). Luminaries Playboi Carti, Iggy Azalea, and Dev Haynes were in attendance, casually casting their celebrity to add wattage to the event. “The perfect precision of luxury was originally functional.” This quote, espoused in an interview with Glossy Forum, encapsulates Matthew Williams’ design ethos. 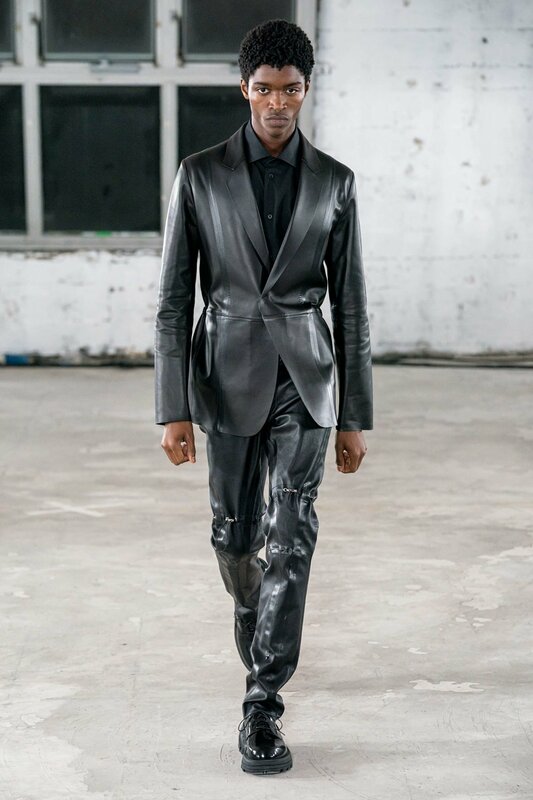 Alyx’s AW 2019-20’s collection reaffirmed the brand's reputation as a practical and refined execution of fashion as an applied art form - a crossroads for luxe streetwear and technical functionality. 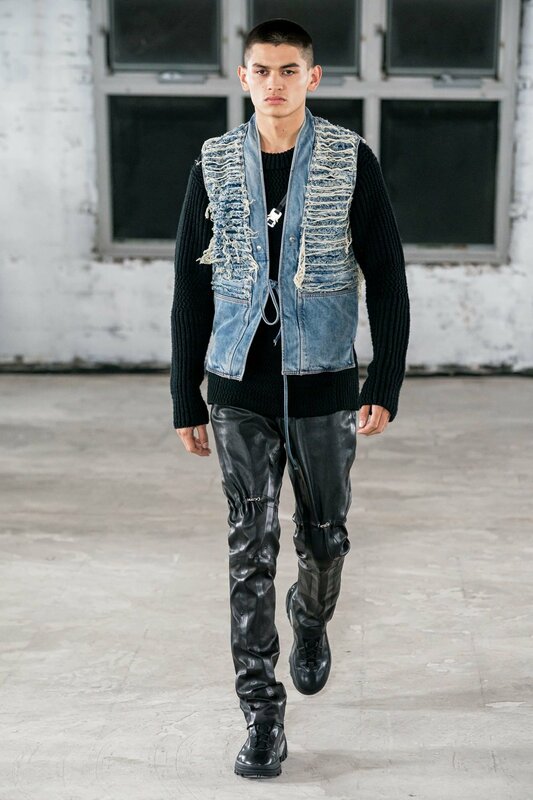 While Matthews has claimed that he does not design thematically, this season’s motif was sustainability and Matthew and the Alyx team employed upcycling and recycling techniques to produce some of the materials for this season’s wares. Alyx has always been synonymous with utilitarianism and the latest collection showcased streetwear maestro Matthew Williams’ ability to extract elements of streetwear and sustainability and present them in harmony - albeit a somber, somewhat muted one. A rundown of key looks yielded dystopian all-black outfits, accessories punctuated by Alyx’s signature buckle (sure to have hypebeasts frothing at the mouth), elevated Alyx footwear and collaborations with new partners in Blackmeans and Majoochi and old, in Nike and Mackintosh. Kanye’s Midas touch and collaborations with Nike and Dior have helped the brand remain on the tip of the tongue but if Alyx’s sartorial persistence is any indication of its future then it is likely to be brighter than the clothes on its runway.